Sen. Kamala Harris, California's junior senator, is launching a run for the presidency in 2020, hoping to galvanize the progressive support that has made her one of the leading Democratic voices in the nation. "This is a moment in time that I feel a sense of responsibility to stand up and fight for the best of who we are," Harris told ABC's Good Morning America, while making her announcement. The official kickoff of her campaign will be held on Sunday in Oakland, Harris said in an announcement video released Monday morning. 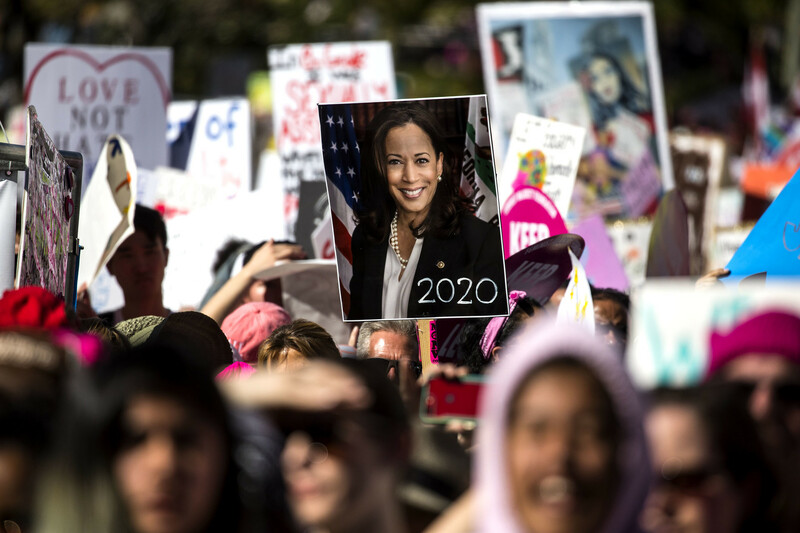 Harris, 54, was elected to the Senate in 2016, and quickly became a leading voice in the Democrats' "resistance" to President Donald Trump. She has used her perch on the Senate Judiciary and Intelligence committees to skewer nominees and members of the administration in high-profile hearings. Perhaps most notably, her questioning of Jeff Sessions led the former Attorney General to admit the exchange made him "nervous." Her aggressive questioning style has thrilled many Democrats but could also put off voters who are tired of partisan politics. On immigration, Harris has emerged as an outspoken voice on the left. She was one of only three Democrats to oppose an immigration compromise bill in February that would have provided a pathway to citizenship for young undocumented immigrants covered by the Obama-era Deferred Action for Childhood Arrivals, or DACA, program, but also included $25 billion for a border wall and other security. Harris closed 2018 by following a traditional pre-campaign blueprint. She traveled to Iowa to campaign for Democrats in the early voting state, and she announced a new book, "The Truths We Hold," which came out in January. Harris becomes the first California Democrat to run for president since Jerry Brown's third unsuccessful run in 1992. Before that, Sen. Alan Cranston ran a short-lived campaign in 1984, when he emphasized his anti-nuclear platform. Cranston dropped out long before Californians got to vote in their June primary. Political prognostications this early in an election cycle are notoriously flawed, but analysts like Nate Silver of the FiveThirtyEight blog sees Harris as having a lot of upside given her ability to put together a broad coalition. Former Texas Rep. Beto O'Rourke and Sen. Cory Booker (D-NJ) were also near the top of Silver's analysis. Democratic campaign consultant Bob Shrum, who's run several presidential campaigns including Sen. John Kerry's in 2004, says Harris could be formidable given her strengths at fundraising, communicating with voters and a strong base that includes women, millennials, and Americans of African and Asian descent. "But the one thing you have to understand about this process is that people are never the same coming out the other end of it as they were going in," Shrum said. "In other words, the process tests you. It finds out how you deal with adversity, how you deal with setbacks, how you deal with unexpected challenges. And that's something we don't really know about her." California's 2020 primary was moved up to March 3, also known as "Super Tuesday," the same days as several other large states including Texas and Virginia. Given California's early voting system, voters will get their ballots around the time of the Iowa caucuses in early February. But Shrum says Harris can't count on winning here just because she's a "favorite daughter." "If she's established herself in the early part of the process, she'll be a very strong candidate here," Shrum said. "If she hasn't established herself, she'll be weaker than people might otherwise expect." Democratic consultant Garry South says Harris has strong advantages in a Democratic primary as a woman of color. But he thinks her record on law enforcement, especially her opposition to capital punishment and her refusal as San Francisco district attorney to seek the death penalty for someone who killed a cop, could come back to haunt her, especially if she wins the nomination. "I think some of the national law enforcement groups are lying in wait for her," South says, adding that "groups that lean toward the conservative side, like the Fraternal Order of Police, are salivating about going after her." Harris is not up for re-election in the Senate until 2022, after easily defeating fellow Democrat Loretta Sanchez in 2016. 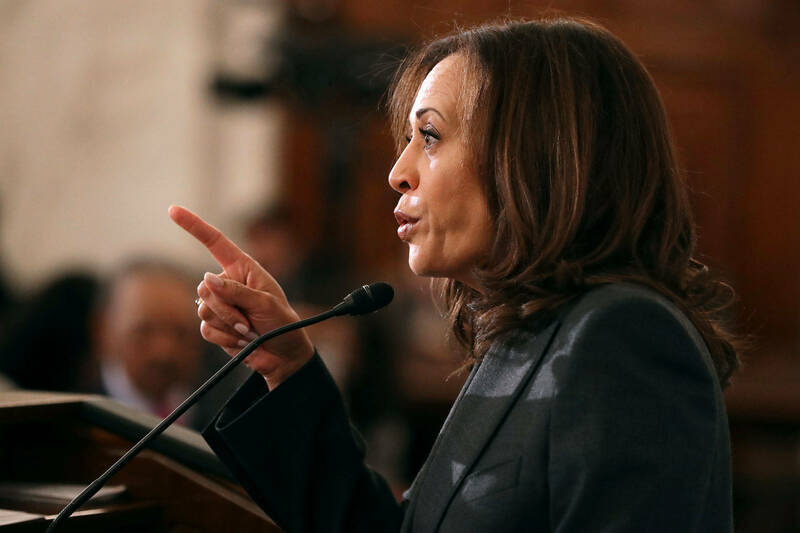 She ran for that office after six years as California's attorney general, a time during which Harris — perhaps constrained by her law enforcement role — seemed less willing to speak out on hot-button issues. But her popularity continued to grow; after winning the race for state attorney general by less than one percentage point in 2010, Harris won 57 percent of the vote four years later. Before her time in statewide office, Harris was San Francisco's district attorney from 2004 to 2011. She was born in Oakland to an Indian-American mother and Jamaican-American father who were politically active; after their divorce, Harris and her sister Maya moved to Montreal, Canada with their mother. Harris returned to the states to attend college at Howard University. During a press conference at her alma mater on Monday, Harris was asked how being from California has informed her candidacy. "I am a proud daughter of Oakland, California," she said. "I also know that in that state of almost 40 million people, that the state is as diverse as our country. We have red areas, we have blue areas, we have purple areas. We have a whole collection of folks who span every demographic that a pollster would talk about."